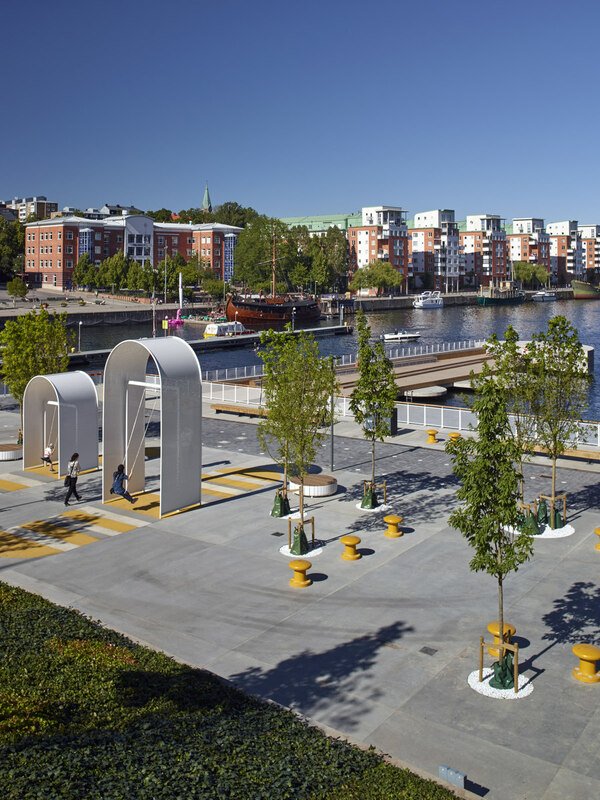 Fredriksdalskajen (the Fredriksdal Quay) is located at Hammarby Lake in Stockholm, adjacent to one of the city’s main infrastructural veins connecting Stockholm’s southern suburbs with the central island of Södermalm. 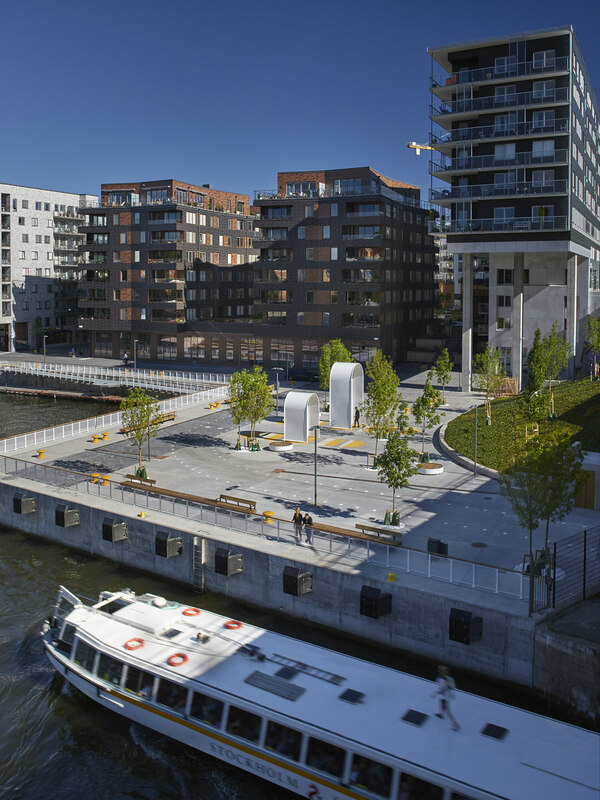 The quayside project is one of the last phases of a major urban development project, Hammarby Sjöstad, which has been evolving in southern Stockholm since the late 90s. 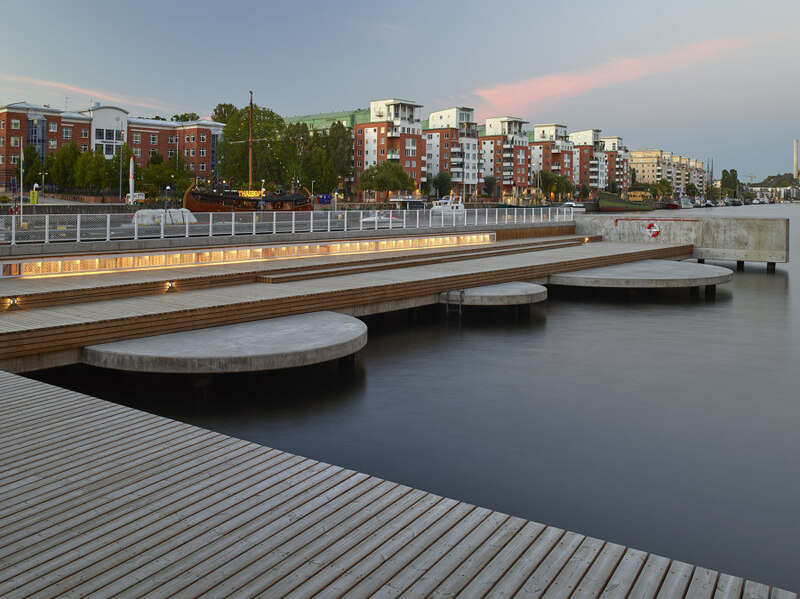 The site is part of a continuous stretch along the water, from Liljeholmskajen in the west to Hammarby Sjöstad in the east and further on to Sickla lock. 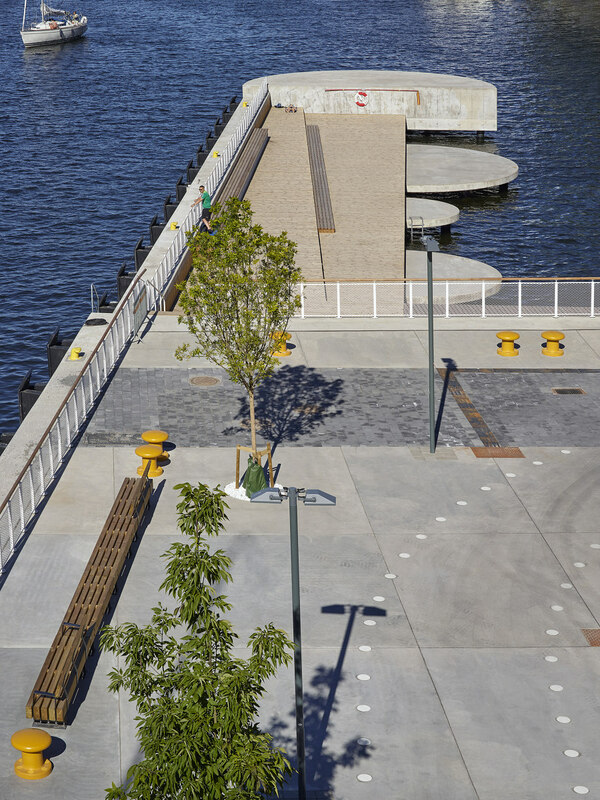 A wooden pier and a square of trees and two large-scale swings creates a new target point at the water. 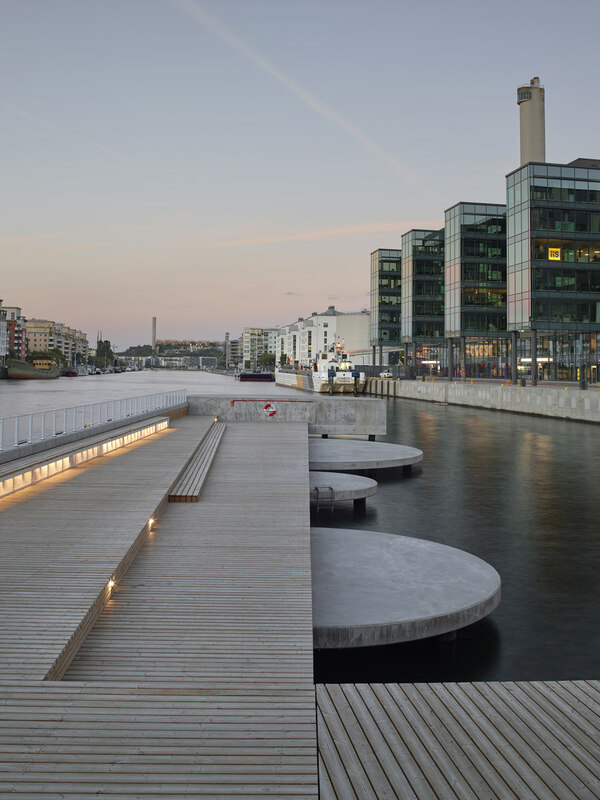 Towards the lock and the eastern views of Hammarby Lake a series of long wooden benches face the water, from which one can watch the passing and locking of ships and boats. 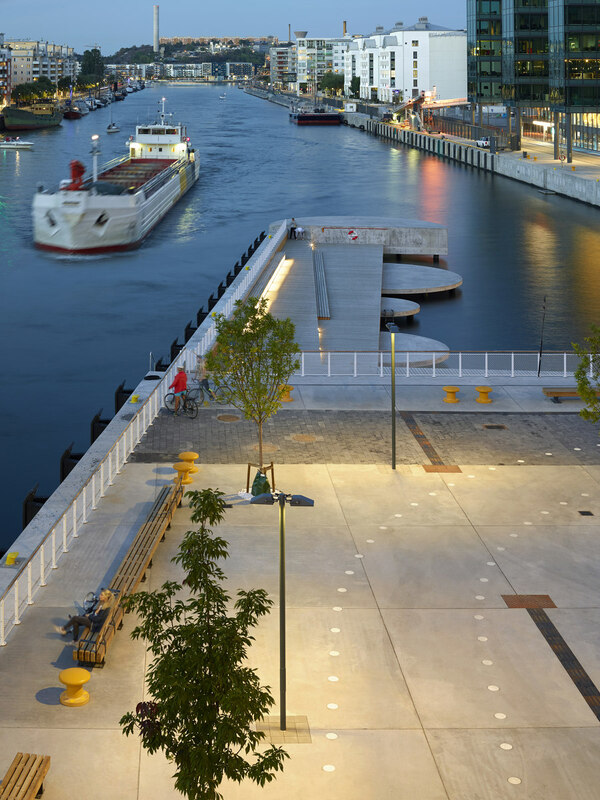 The quay has a long history as an industrial harbor, and some of the old port activities remain even after the rebuilding. 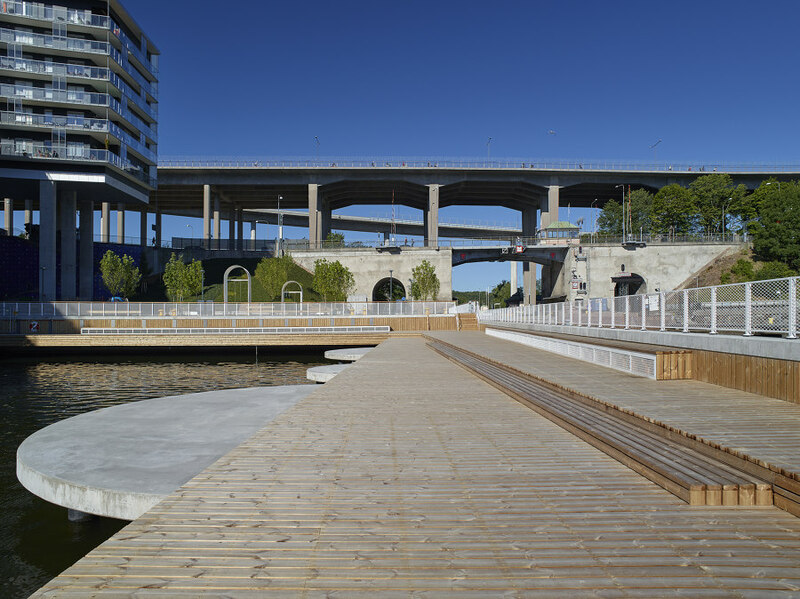 The site is designed so that pedestrians and bicyclists can co-excist with a new group of recreational visitors on the site, as well as car users and port operators. 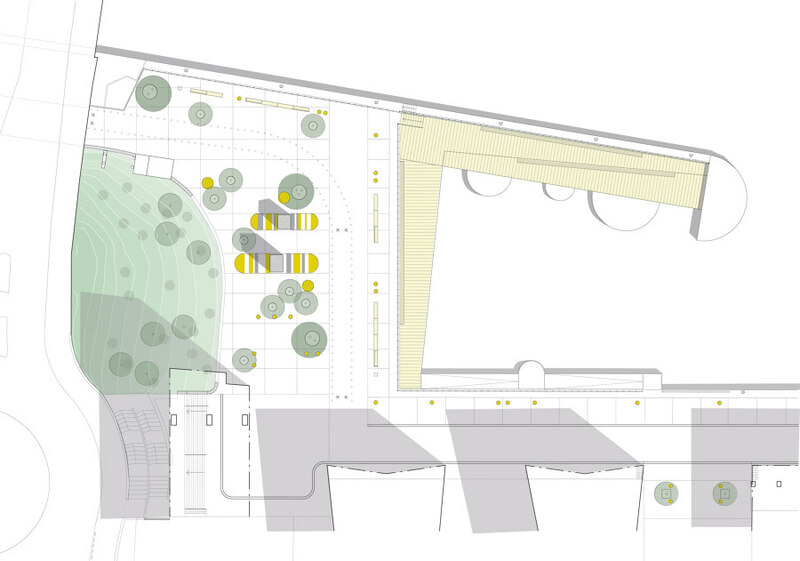 The industrial character is the foundation for the design of the quayside and square. 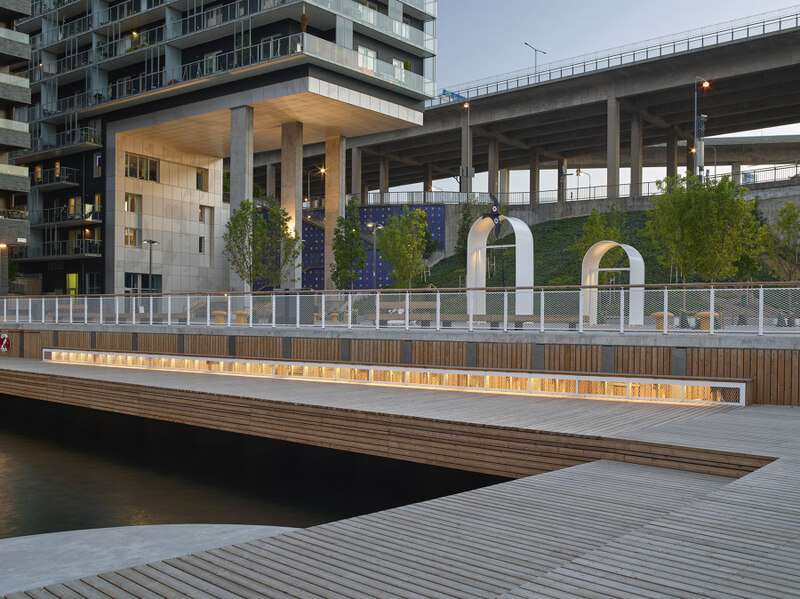 Functions needed on the dock are solved using products derived from port and industrial environments, but further developed for the site. 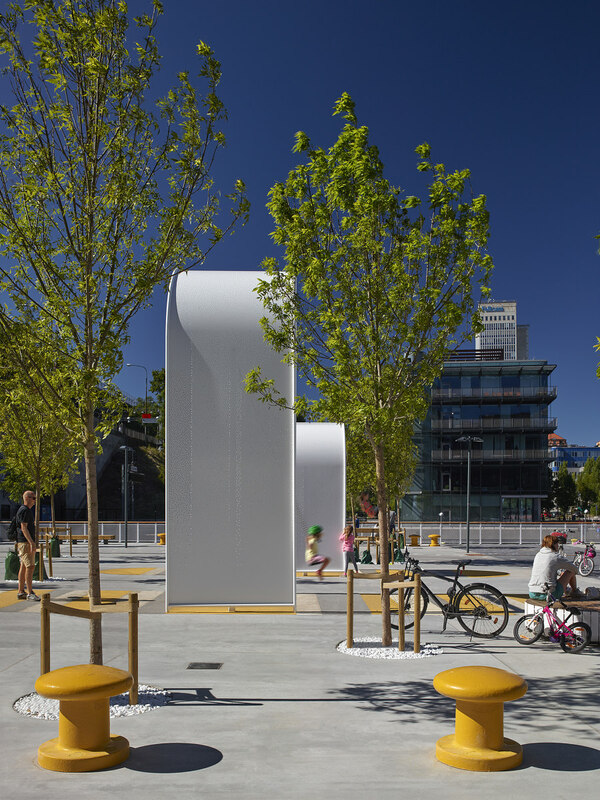 The quay is characterized by large concrete slabs, bright yellow seating inspired by traditional mooring bollards, and white fencing. 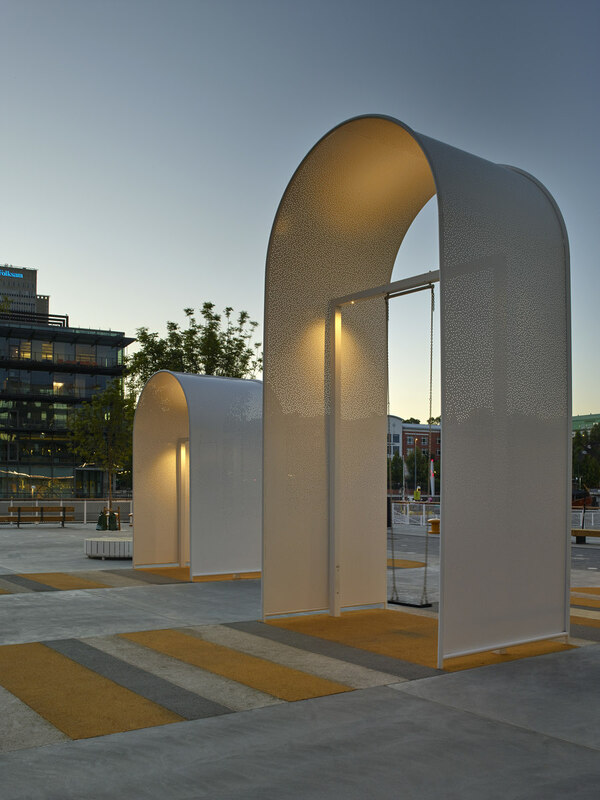 The arc shape as a recurring form is derived from the adjacent Skans Bridge’s two old concrete arches from the 1920s. 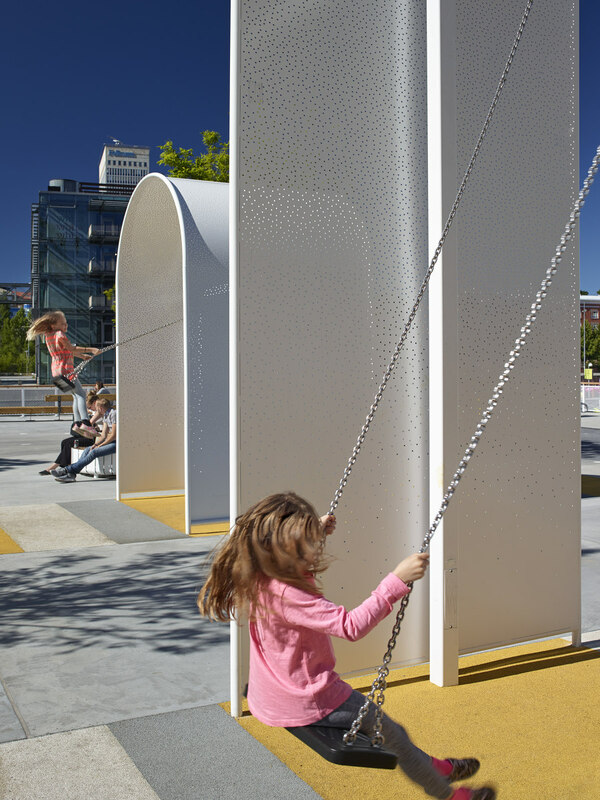 In the western view, they interact with the white metal arches of the swings, the semicircular smooth concrete slabs on the wooden pier and the ramp's arched landing. 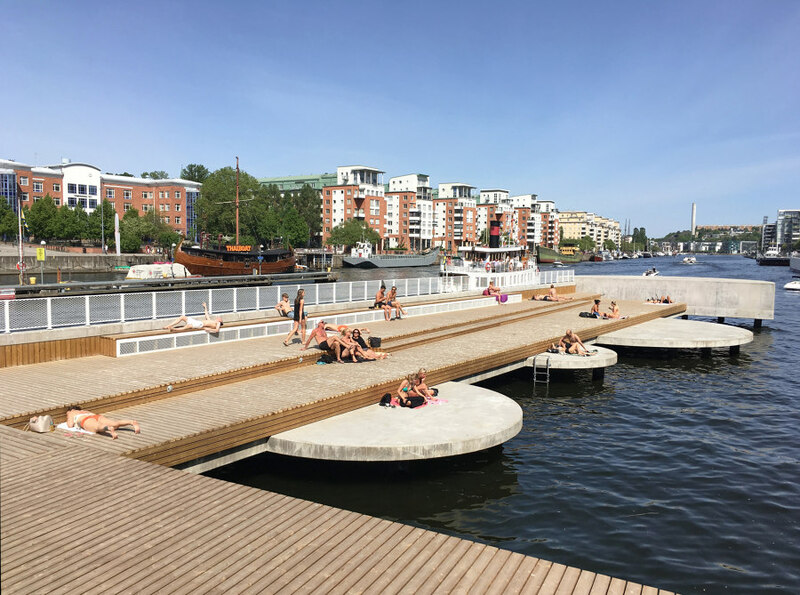 Fredriksdalskajen is north-facing, but thanks to the long wooden pier in the north-east, the area's most sunlit location can be utilized for sun-bathing and picnics. 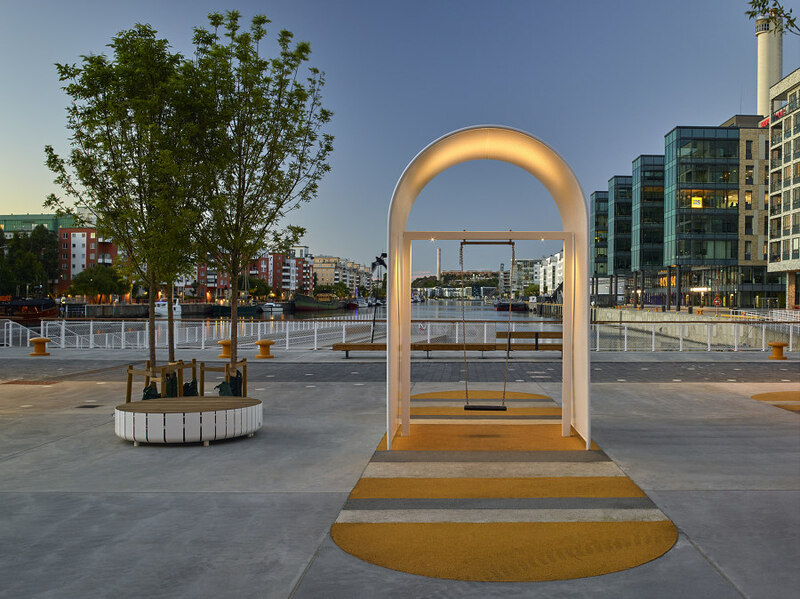 Two big swings act as an eye catcher and centrepiece on the square, from which swinging visitors have a vast view of Hammarby Lake, across the sun deck and the canal's frequent boating.